Get ready for the latest installment in the Birth Stories for Books series: Posts about paths to publication from published authors and illustrators. Today's post is particularly special because it is written by Matthew Lasley, whose debut picture book, Pedro's Pan, is illustrated by Jacob Souva and published by Graphic Arts Books ... the illustrator and publisher for two new books I have coming out this year. Every person’s story is unique. Each decision we make, each success and failure shapes the outcome of our life and choices we make. We are all the heroes of our story. We struggle, we persevere and sometime we just get lucky. In my journey to becoming a published author, I had to learn to be my own champion. I could not, can not, compare myself to others. Their journey is their own. To see someone else’s journey as easier or luckier or more fortunate is a lie that oppresses our own heroic story. What we do not often see is the turmoil and the struggle that the other went through, that they hold in that dark place that makes them wonder if they are a fraud. It doesn’t matter if you have written a rough manuscript or 365 books, you still question your ability and worth. So here is my journey, in short. I grew up in rural Alaska in a community of 100 spread out over nearly a hundred square miles. My school averaged a little more than ten students, kindergarten through 12th grade. We had one teacher/principal who was expected to teach us all. Mind you, I am not complaining, I loved my childhood, but, being a teacher now, I realize the resources I missed out on. You see, I am dyslexic and this made learning difficult, especially reading and in turn, writing. But I was determined. I wanted to read. I loved to tell stories and from early on, I wanted to tell my own. The first story I every wrote was called, “How Crooked Creek Became Crooked.” It was a “legend” about how a local creek got its name. To be honest, it was a terrible story. But I was in third grade and it was my first attempt. I was proud of it and it was the first time I realized that the stories I wanted to tell came from the world around me and I could tell stories that affected that world. I did some writing as I grew older and entered college. I even won some awards and got a few things published in regional publications. But writing was such a struggle. My mind moved much faster than my pencil and my penmanship is atrocious. I wrote things in rough outlines and bullet notes to try to get it all down, but often found it difficult to go back and write my stories. So, I began to tell my stories to a tape recorder. It sounds like a great idea, but you have to be disciplined with it or else your thoughts are jumbled and the best material never gets recorded. I had lots of ideas, but I couldn’t get it on paper. Then I heard about NaNoRiMo. I was teaching a 4/5 grade combo class and we used the month to write a manuscript. I let the words pour out onto the pages of my notebook, focusing on quantity rather than quality. And at the end of the month, I had a story. I spent the next three months typing up the story and polishing it. And I was proud of it. I knew it needed work, but it was my story. My school librarian was interested in writing and offered to look over my manuscript. So, during a long weekend, I gave it to her. The next Monday, at the end of the day, I went down to help her shelve books and she gave me my manuscript back. At first look, it was a disaster. There was purple ink all over it. She seemed excited about it and began to ask me questions about my story and how I came up with it. I told her my process and she asked me if I had ever read the book “Hatchet.” I told her I had not and she continued to ask me questions about my story. Finally, she went over to one of the shelving carts and pulled a copy off and handed it to me. I opened the book and my heart came to my throat. Here was my story. Sure, not exactly my story, but a lot of it was the same, even down to the character’s name, though mine was named Brian Robbinson, it was close enough. I was stunned. I flipped through the pages and read many elements of my story. Only it was not my story. I do not remember what the librarian was saying to me, I only remember feeling the stinging in my eyes and the knots in my stomach. All I remember was finally thanking her for reading my story, handing her back the book and leaving. When I got back to the classroom, I threw my manuscript into the recycle bin, went home and packed up my notebooks. I would not pick up a pencil for three years. It took me that long to realize that I had not written a bad story. In fact, I had written a story well enough that it could potentially be published and win a Newberry. It just wasn’t my story. I had a story inside of me still. It is still there, waiting for its time in the world. I have struggled to write it for nearly 9 years. But it is not the only story. I sat down and decided to write another middle grade novel. It too is waiting for its time to shine, but after really sitting down and committing myself to write again, I met my wife Jena. She is also a teacher and a writer, and my soulmate. She was working on picture books and I thought I would take a stab at it. After all, less than a thousand words, how hard can it be. Short answer, it is harder than writing a novel. I wrote a few stories and had one critiqued at my local SCBWI (Society of Children’s Books Writers and Illustrators) here in Anchorage, Alaska. A national editor was brought up and to be blunt, she pointed out that I was a newbie. She was nice about it, but it was obvious that I didn’t know what I was doing. 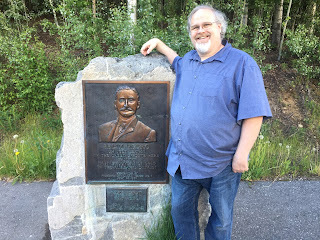 I had written a long story about a prospector by the name of Felix Pedro who founded the Fairbanks Gold Rush. The story was good, but not a picture book. Over the next few months, I studied and read books. 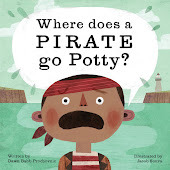 I listened to webinars and learned the rules of picture book writing. The best thing I learned, to let your story rest. So I did, I shoved it in a drawer and did not look at it for months. That next spring my SCBWI chapter held a writer’s retreat and I decided to pull the stories out and work on one. I chose my story of the prospector. I stripped down my story and realized it couldn’t be told as it was. And that is when I heard it, I heard the voice. I scrambled and let the words flow onto the page. And after a couple of critiques, I sent it off to be reviewed by one of the guest authors attending the retreat. And she loved it. She loved it enough to tell me who I should contact and sent a recommendation off with it. I made the few corrections she recommended and sent it off. It took a few grueling months to get an answer since the company was hiring a new editor, but they loved it too! 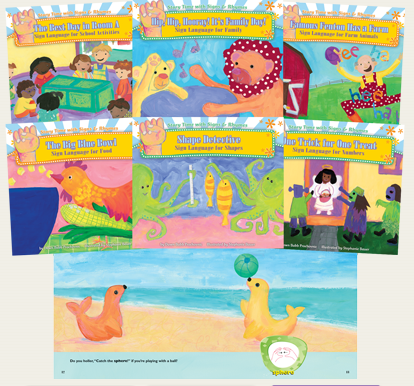 What is amazing is that from the time I started writing picture books to getting a contract was about 15 months. My very first submission was accepted. That is unheard of. That is up there with a rookie hockey player in his first game scoring a goal on his first shot. 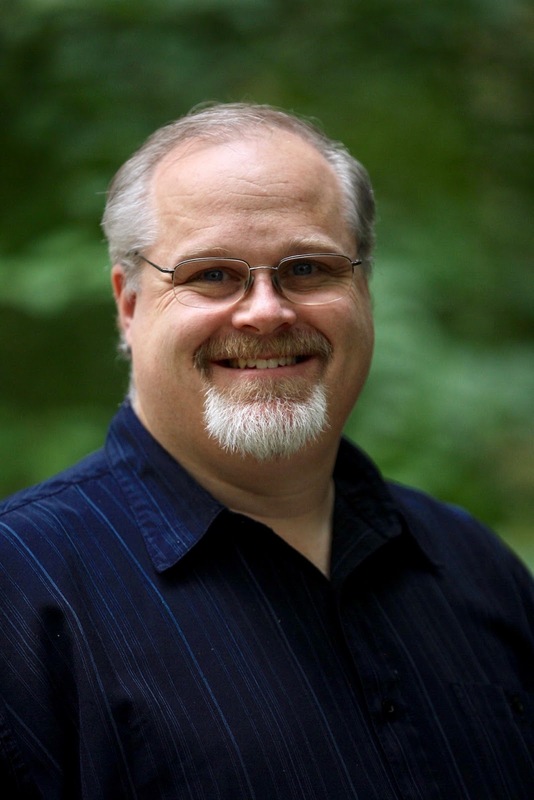 While you may see my success as being able to get a book published in a short time and on my first try, but my journey was 33 years in the making. And it was not made alone. 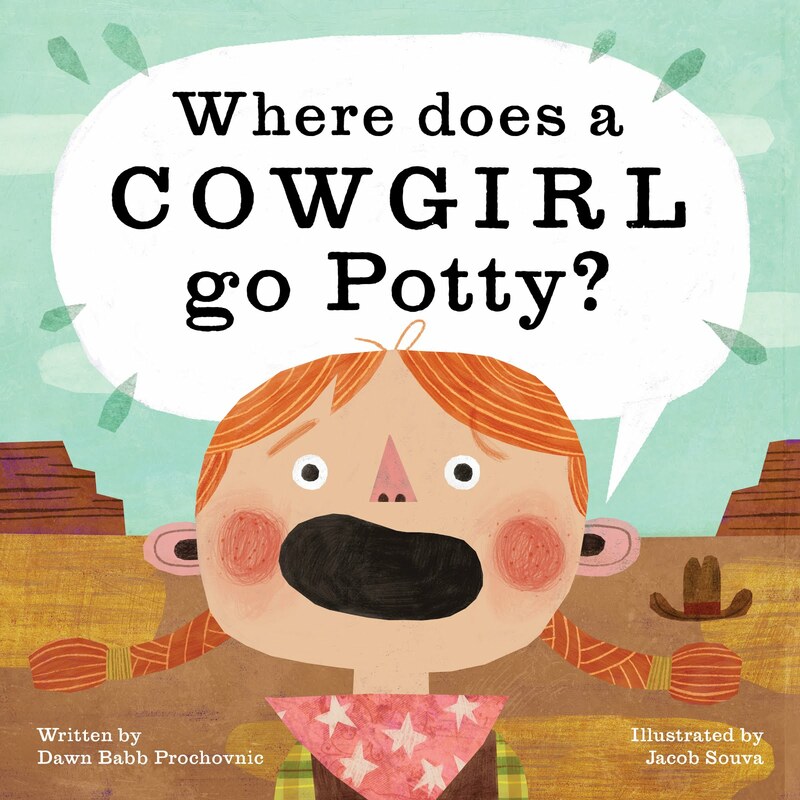 My wife taught me how to write a picture book. I benefitted from her years of learning. And then I found a champion for my story who saw its potential enough to put her reputation on the line for it. 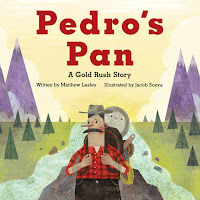 On February 19th, my debut book, Pedro’s Pan, will be launched. When you see someone else’s success, do not think of how talented or easy it is for them. It is not. Everyone struggles to write and get published. Even prolific writers know that they only get better over time. What is important is that you focus on your journey. Learn. Grow. Find your champions. Be a champion for others. 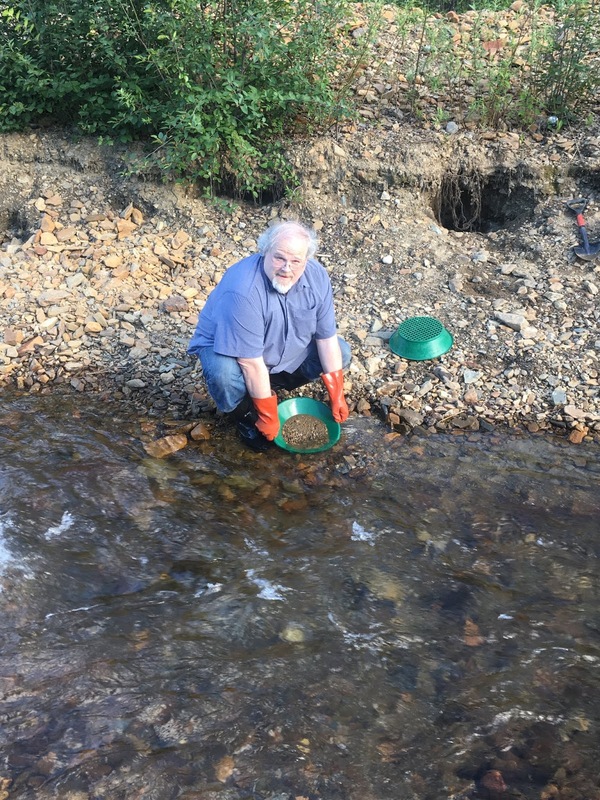 Matthew Lasley grew up in rural Alaska living the quintessential Alaskan life while mining for gold with his family in Alaska and the Yukon. He now lives in Anchorage with his wife where they both teach first grade. 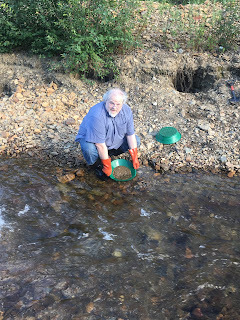 When he is not writing or teaching, you can find him wandering the local streams searching for a few flakes of gold. Visit Matthew on Facebook or follow him on Twitter, @Lasley_Matt .